P&G Professional and UK Hospitality (UKH) partnered to present ‘More than Money: Ways to motivate, retain and attract staff in turbulent times’, an educational webinar for the hospitality industry. Come and visit Lavorwash on stand H01 at this year’s Cleaning Show, to discover our full range of cleaning equipment, and get up close and personal with a MotoGP Bike. Highly configurable, a perfect fit for SME, mid-size and ‘top 30’ companies alike. Clients like Chorley Cleaning Services are already benefiting from the strong return on investment delivered by SmartTask. These same benefits are available to all our customers. Independent janitorial and cleaning distributor will be exhibiting in the Jangro Garden, which can be found at stand number G01. Mirius, the new name for Coventry Chemicals, have announced they’ve joined forces with one of the UK’s largest recycle bottle manufacturers to offer its customers a trigger spray bottle made entirely from 100% recycled plastic (rPET). 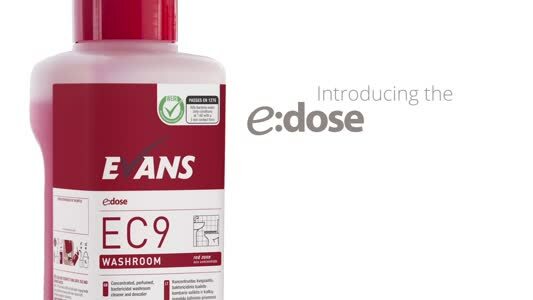 Evans Vanodine is marking its centenary in the industry by returning to The Cleaning Show after an absence of many years. Established in 1975, Dual Pumps is a leading supplier of pumps, fluid handling components, agricultural & industrial spraying products, pressure washers, pressure wash accessories and cleaning equipment. The Nilfisk Group will be exhibiting at the Cleaning Show and look forward to welcoming customers present and new to our stand F01 at the 2019 event. Established over 100 years and now a global brand leader, Makita continue to raise standards regarding safety and performance throughout the range. Made in Germany, SEBO are described as the world’s leading manufacturer of professional upright vacuum cleaners offering both heavy duty and lightweight models. Denis Rawlins Ltd are a supplier of innovation to the cleaning industry. We do not recommend investing just for the sake of innovation but working smarter to return better results for less money, time and effort or risk. Leading manufacturer and supplier of away-from-home (AfH) professional paper hygiene and wiping products, Northwood Hygiene Products, invites visitors to come and experience its new and established products – the benefits of which may be discussed over a drink at the on-stand bar. The CleanLink Software team will be exhibiting at The Cleaning Show at ExCeL, London on the 19th to 21st March. Join Unger at the 2019 London Cleaning Show on stand J11 for on-site demonstrations of the company's latest innovations, including the award-winning Unger erGO! Clean floor mopping system, the Stingray Indoor Window Cleaning tool and the next generation in pure water technology, The HydroPower RO. Rotowash was established in 1981 to produce and distribute high quality industrial floor cleaning equipment, manufactured to BSI and similar international standards. The HOST carpet cleaning method is an all in one system that gets carpet clean and back in use straight away. The system uses specially designed equipment together with tailored cleaner HOST SPONGES. The Cleaning & Hygiene Suppliers Association (CHSA) is to spread the word about its Accreditation Schemes at the Cleaning Show, joining the British Cleaning Council on stand C40. The Cleaning Show is to launch exciting new features when it returns to London's ExCel on 19th to 21st March 2019. Cleaning Matters provides a preview of what visitors can expect. Over 5,000 FM professionals and 200 of the industry’s leading suppliers will join forces this April to challenge, change and collaborate at The Facilities Event 2018 . Protecting and managing facilities effectively is critical, and is a vital part of a successful business, economy and national infrastructure. Facilities Show 2017, from 20-22 June, brought together cleaning and FM suppliers and visitors to share current industry best practice and discuss future opportunities. The Hill Club - the exclusive cleaning industry networking event organisation - returns to its 'spiritual' London home, the Rotunda Bar & Restaurant, on Thursday 1st June to celebrate its fifteenth networking event. Facilities Management 2017, the annual exhibition taking place in Hall 18 at Birmingham’s NEC, expects to welcome more than 200 exhibitors and 5,000 visitors over three days between 21 and 23 March. Jangro created the Jangronauts – four hand-washing hero characters!